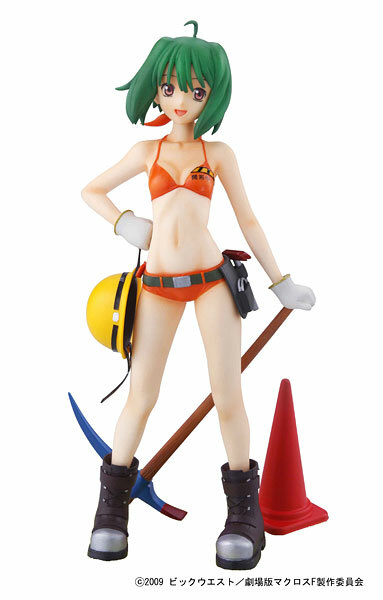 Bandai’s new Ranka Lee figure scores points for Ranka’s charming facial expression and a cute miner’s (??) outfit. It might well lose points for Bandai’s fit and finish, which is largely unknown to me, but at this point I would still pick it as one of the best new figure announcements for November. This entry was posted in Figures, Previews and tagged 1/8 scale, Bandai, Macross Frontier, PVC, Ranka Lee. Bookmark the permalink.